Edit for iOS couldn't be any simpler. Edit is just about the simplest notes app possible. It doesn’t have search, it doesn’t even have multiple notes. It’s just a single page onto which you can write or paste text, and almost nothing more. When you’re using your iPhone or iPad, do you ever feel the need to quickly jot down a note? Do you need a page to paste a temporary note — a parcel tracking number, for instance, or an address, or a list? Edit is for you. The $2 app is the digital equivalent of the back of an envelope. It doesn’t save notes, because it is just a single page. Anything you write there stays there, until you delete it, or clear the page. On the iPhone this is handy. On the iPad it’s fantastic, because you can leave it in the slide-over position, ready to be swiped over your screen, or you can use it in split-screen mode, dragging chunks of text into it for temporary storage. The simple feature set doesn’t mean that there’s nothing to it. 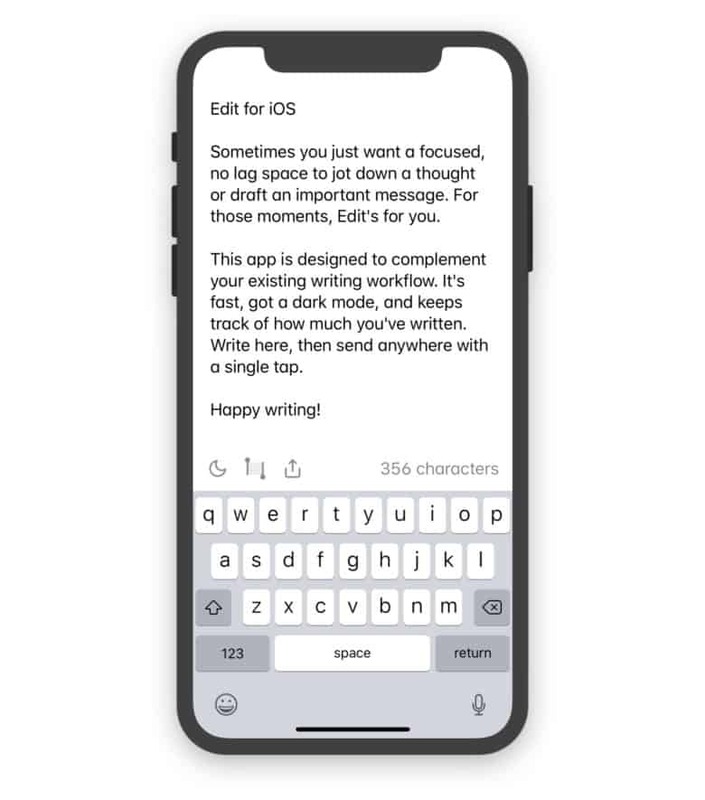 You get dark and light modes, a character count, and you can export the text using the standard sharing sheet. You can also pinch to zoom the text size. If you ever find yourself frozen when you want to take a quick note, because you can’t decide which notes app is best for it, then you need Edit. At $2, it’s a steal.